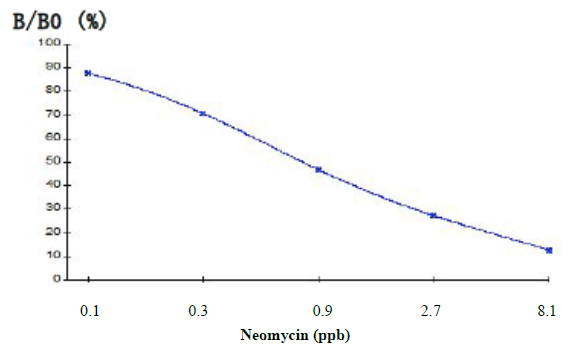 Neomycin ELISA Kit | E4611 | BioVision Inc.
A competitive ELISA kit for the quantitative measurement of neomycin in Tissue (chicken, pork, fish, shrimp), honey, milk, milk powder, liver. Neomycin is an aminoglycoside antibiotic found in many topical medications such as creams, ointments, and eyedrops. It is typically used as a topical preparation, such as Neosporin. It can also be given orally, where it is usually combined with other antibiotics. Neomycin, like other aminoglycosides, has been shown to be ototoxic causing tinnitus, hearing loss, and vestibular problems in a small number of patients. 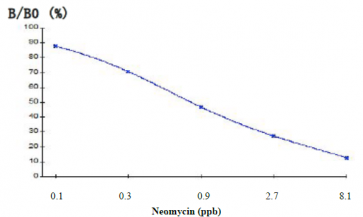 Standard techniques/instruments (HPLC or GC-MS) are utilized to detect neomycin. 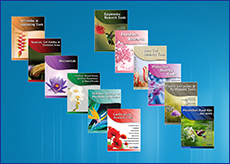 However, these techniques are complex, expensive, laborious, and time-consuming. Immunoassay techniques, such as ELISAs are commonly preferred as a simple, reliable and rapid method for the quantification of neomycin in various samples. BioVision’s Neomycin ELISA Kit is a competitive-based ELISA that can be used for the determination of this antibiotic in tissue, honey, milk and milk powder.